The Room – Think about the color and style of the room the lamp will be in and decide whether you want it to stand out or blend in with the surroundings. Either way, they should compliment each other. The Light – How much light do you need and where should it be focused? Dark shades don't usually allow light to filter through while light shades do. If it's a reading lamp you'll want a fairly wide lampshade base so that you can get enough light. The Bulb – Make sure that the shade is big enough to allow a 2" to 3" space between the shade and the bulb (so that it won't burn). Also make sure that the top of the shade is big enough for heat escaping. 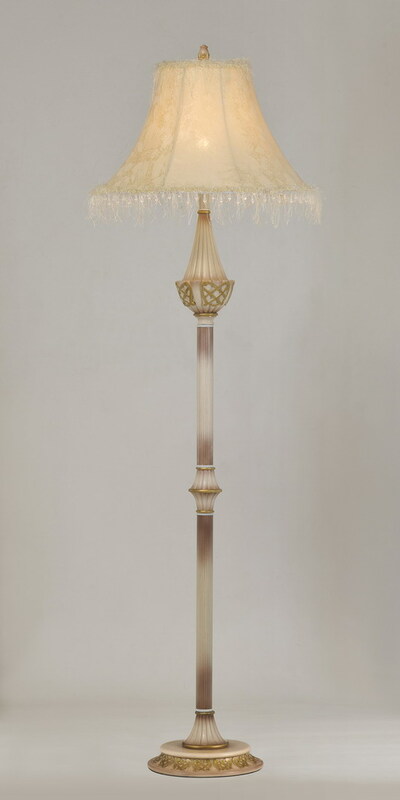 The Lamp Base – Make the decision which part you want to call attention to, the base or the shade. If the base is unique or bold, use a more subdued lampshade. If the base is very plain and simple, consider a shade with some decorative embellishments or color. Size – This is the tricky part. Some lamps call for shades of unusual sizes, but there are some general rules you can follow. The bottom of the shade should just cover the lamp switch so be sure to measure the harp before buying. The harp will tell you the height from the base of the socket to the top of the shade. Generally the height of the shade should be about the height of the base. The bottom of the shade should be wider than the widest part of the base. Keep in mind that these are guidelines only. Maybe you'll come across a lamp that will call for an overscale shade or even a smaller-than-usual shade. Assess what will look best in your space and choose the appropriate one. Trust your eye – if it looks funny don't buy it, but if it looks good even though it doesn't follow the rules, go for it.